The one-year anniversary of the tragic Boston Marathon has inspired many victims and their loved ones to reflect on a year of recovery. In addition to the support that victims may have felt from their closest family and friends, their communities and the nation, victims of the Boston Marathon also gained encouragement from medical engineers working hard to improve prosthetics for those who lost limbs. The Boston Marathon tragedy raised awareness for all victims of amputation and puts the focus on recovery. According to a Discovery article on prosthetic advancements since the Boston Marathon, while many research labs may not have worked directly with survivors, everyone in the industry has felt the impact and desire to improve the lives of amputees and their loved ones. Our Boston personal injury attorneys are experienced in representing victims who have suffered from catastrophic accidents and injuries, including amputation. We are dedicated to raising awareness and to exploring every opportunity to improve life quality and recovery for victims. Survivors of catastrophic injuries resulting from traumatic events like the Boston Marathon must focus on recovery, healing, and creating a new life. For many victims, this may involve a prosthetic, other victims may need physical therapy, reconstructive surgery and other forms of rehabilitation. In some cases, working with amputation experts, therapists, doctors, and scientists is necessary to forge ahead. Access to a prosthetic and this kind of specialized treatment can be expensive. For individuals who have suffered an amputation as a result of an accident or tragedy, financial compensation and support can help to cover the excessive costs of treatment, surgery and access to expensive medical devices. A number of Boston Marathon survivors have had access to top of the line prosthetics, including bionic legs and creators of advanced prosthetic technology. Victims have reported that robotic, bionic and other advanced prosthetics give them a newfound independence and freedom. Unfortunately, for many victims, access to prosthetics can be a challenge. There are some private foundations that have established funds to support the development of prostheses and to raise money for the victims. In addition to prosthetics with more mobility and control, scientists are also working on improving sockets. Where older models resulted in prostheses that don’t fit correctly and can cause pain, new technology uses an MRI and 3D printer to create a design based on individual data and ergonomics. Many amputees who have access to advanced technology prosthetics have found a huge improvement in their quality of life and abilities. Every victim faces unique challenge so doctors and inventors must take a unique approach to treat each patient. For victims of accidents, including car accidents, fires, or work accidents, taking legal action against negligent parties is necessary to secure financial compensation. An experienced advocate can pursue your rightful recovery, including lost wages, long-term care needs, medical expenses, including prosthetics, pain and suffering and additional losses endured as a result of the accident. 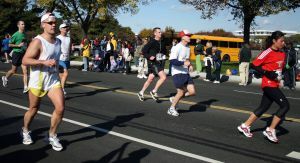 Amputee victims may also benefit from the new developments, research and advancements in technology as a result of the high number of Boston Marathon victims.